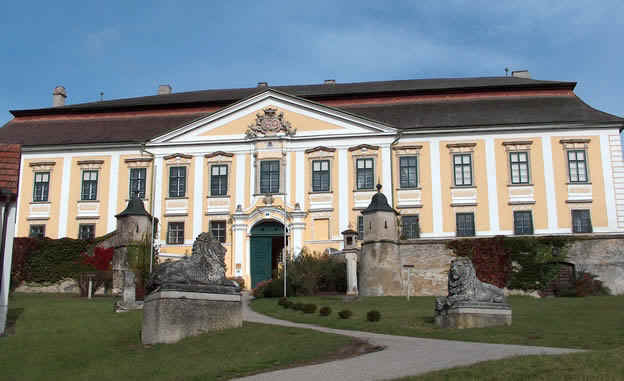 Schloss Gobelsburg is a historic winery, owned by a Cistercian monastery and possessing wonderful old vineyards in the Kamptal region. This is one of the three top quality Danube areas of Austria and altogether has just 2500 hectares of vines. 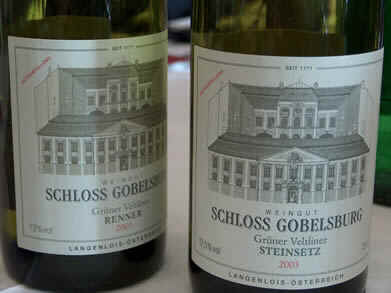 Gobelsburg have around 40 of these. It’s the oldest winery in the region, founded in 1171, and it was run by the monks themselves until 1995. 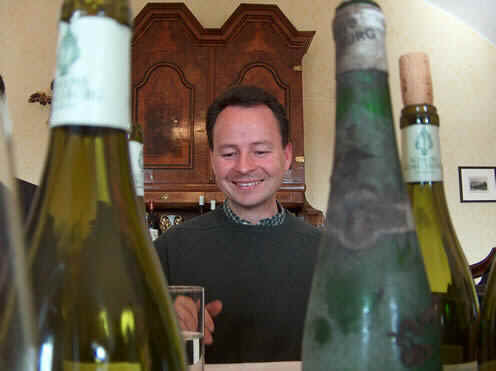 In 1996 winemaking and management responsibilities were taken over by Michael Moosbrugger (right), who was showing these wines. He took a soft-revisionist approach, changing the winemaking process and restructuring the vineyards, but only where necessary. The leap in quality has been dramatic. In terms of varietal composition, the vineyards are split three ways, with half devoted to Grüner Veltliner, 25% to Riesling and the rest to red varieties. The relatively high proportion of red grapes stems from the history of the winery: the Cistercians here had a close connection with their brothers in Burgundy, and were responsible for bringing Pinot Noir to the region. 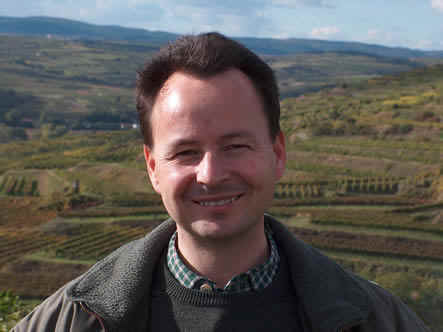 Michael Moosbrugger has been developing a new (or should I say old) wine called ‘Tradition’, an attempt to make Grüner Veltliner the way it would have been made a century ago. ‘One reason I am doing Tradition is that I’m trying to learn from people of the past,’ he says. 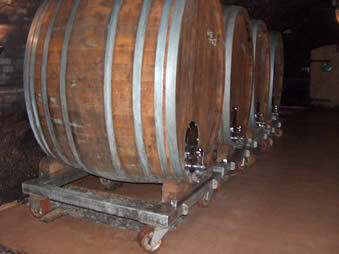 In the cellar he has developed an ingenious wheel system for his larger casks (left). Because the cellar is 200 years old he didn’t want loads of pipes everywhere. So he’s making different zones in the cellar and moving the casks from one room to another according to its needs. Moosbrugger did an apprenticeship in machinery, which has helped with projects such as this.